Sugar! One can of soda contains 10 teaspoons of sugar. This much sugar will make your blood sugar spike very quickly leading to an insulin reaction in the body. Excess sugar makes you hungrier, may contribute to non-alcoholic fatty liver disease, increases belly fat accumulation, contributes to obesity, causes insulin resistance, increases risk for Type 2 diabetes, is addictive, is linked to heart disease, is linked to increased risk of cancer, increases risk of gout, increases risk of dementia…and the list goes on. Artificial sweeteners! Don’t think that your diet soda addiction is any better than the sugary stuff. Artificial sweeteners, such as aspartame, can actually be more harmful than sugar. It’s been linked to all kinds of health issues like seizures, multiple sclerosis, brain tumors, diabetes, etc. Diet soda also has been shown to increase the risk of metabolic syndrome, which causes things like belly fat, high blood sugar, and high cholesterol. Phosphoric acid! Phosphoric acid can interfere with absorption of nutrients and slow digestion. It also can interfere with your ability to absorb calcium which can lead to increased risk or osteoporosis, bone breaks, cavities, and bone softening. Caffeine! Caffeine has been linked to certain cancers, irregular heartbeats, high blood pressure, increased blood glucose levels, etc. It’s also a diuretic, meaning it makes you pee- leading to dehydration. Lack of nutrients! There is absolutely no nutritional value to soda. 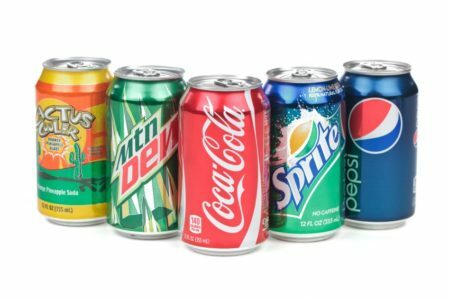 Your body views soda as an unnatural substance that is essentially harmful in many different ways.